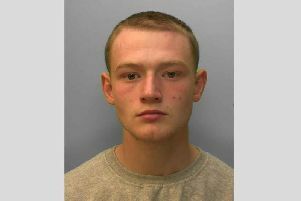 A woman has been arrested following an armed robbery in North Bersted this morning (Tuesday, December 11), Sussex Police has revealed. Police said officers were 'alerted to an intruder alarm' that was activated at a pharmacy in Durlston Drive, Bognor at 9.11am. A police spokesman said: "A woman entered the premises equipped with a knife and a gun and demanded medication from the staff before leaving. "She was described as 5ft 5in of medium build and she was wearing blue jeans, a dark coloured jacket with an orange emblem on the left arm and a black balaclava." Police said no injuries were reported from the incident. The spokesman added: "A 29-year-old woman from Bognor was arrested on suspicion of robbery. She remains in custody as of Tuesday afternoon and the investigation is ongoing. "If you witnessed the robbery or walked passed the suspect please report information via email or by calling 101 quoting 281 of 11/12."